Fr. Eugen Pentiuc joins us to talk about his new book The Old Testament in the Eastern Orthodox Tradition. Fr. Eugen is one of the speakers at the upcoming OCAMPR Conference at Holy Cross Seminary. Dr. Rossi talks about a recent book by Dr. Eugen Pentiuc entitled The Old Testament in Eastern Orthodox Tradition. 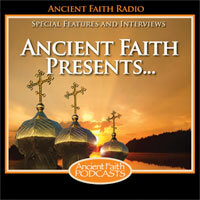 Get an update on the inner workings and future plans of Ancient Faith Radio as Fr. Tom Soroka of The Path interviews AFR founder and General Manager John Maddex.